Amazon has the My Little Pony - Glitter Pony & Equestria Doll on sale for just $3.19, regularly $12.99. Plus, shipping is free! 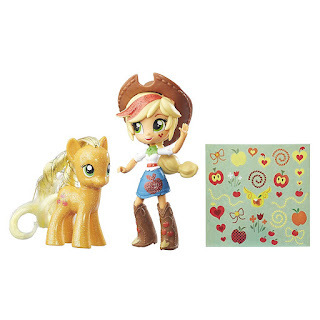 This My Little Pony and Equestria Girls set includes a 3-inch collectible Applejack pony figure, a 4.5-inch Equestria Girls mini-doll figure, and a sticker sheet.